For carpet cleaning services in Saskatchewan, you can count on Olson’s Steam Carpet and Upholstery Steam Cleaning. With over 30 years of experience and state of the art equipment, we’ll get the job done right and done fast. Our truck mounted equipment means no heavy machinery enters your home—only the hose and wand. We have one of the most powerful truck mounts on the market. We’ve been cleaning Saskatoon and the surrounding areas for many years, specializing in apartment cleaning. Our experts have the experience to quickly and thoroughly move through buildings with several units to get all their carpets clean. Our carpet steam cleaning takes care of common wear and tear, along with dirt. If your carpet fibers are matted down and the color is looking dull, our carpet cleaning, which includes shampoo, will wash out the dirt and dust while fluffing the fibers and brightening the color. After we’re finished, your carpet will be dry within a few hours. 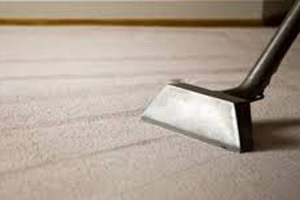 Olson’s Steam Carpet and Upholstery Steam Cleaning specializes in allergy relief carpet cleaning. Allergens can wander into your home or business and bind to the carpets, which causes unwanted allergic reactions (sneezing, itchy eyes, and skin irritation). We’ll help you cure these systems and prevent them from coming back by professionally vacuuming and then steam cleaning with techniques that target dust mites and other allergens. If you’ve spilled food on your carpet, such as wine, tomato sauce, mustard, and other tough to remove food and liquids, our professional carpet cleaners can get the stain out. The sooner you call us, the easier it will be to remove; however, we are able to remove stains that have been in the carpet for awhile. We also work with restaurants to deep clean carpets that get exposed to heavy food soil to keep them clean and fresh.